When making changes to your diet, you need to decide whether you can change everything at once or need to make smaller, incremental changes. What works for one person may not work for the next. 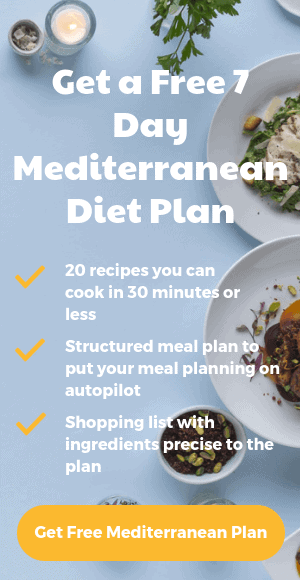 The Mediterranean diet is easy to adopt, but you may want to make subtle changes before diving in. Changes in lifestyle and behavior can be tough to begin with. Building those habits becomes effortless over time. This sets you up for long-term success. Here are some of the simplest ways you can start to make Mediterranean cooking a part of your lifestyle. Replacing unhealthy fats and oils with healthier ones can have a major impact on your health. You can use olive oil in place of butter in almost any recipe. The Mediterranean diet advocates a high mono-unsaturated-to-saturated fat ratio. A large part of that results from the use of olive oil as a main cooking ingredient. Most people eat lots of unhealthy fats. These include trans fats and refined vegetable oils. Changing to extra virgin olive oil will likely reduce the consumption of these. Extra virgin olive oil has to a wide range of health benefits. These include reduced cardiovascular disease and anti-inflammatory properties. Excessive salt intake leads to high blood pressure. This is a leading cause of cardiovascular disease. Using herbs and spices instead of salt can replace flavour that is lost from salt. Mediterranean cuisines use them often. Additionally, they contain very few calories and healthy antioxidants. The parts of a grain include the germ, endosperm, and bran. These are important sources of fiber, selenium, potassium, and magnesium. Refined grains lose the germ and the bran. This leaves the endosperm of the wheat, a rapidly digested starch. This can contribute to major swings in blood sugar levels and potential overeating (1). In contrast, daily whole grains can lead to a 20% lower risk of heart disease and stroke (2). The Mediterranean diet uses only whole grains like barley, brown rice, bulgur wheat, oatmeal, whole-wheat bread and whole-wheat pasta. So try replacing your sandwiches for lunch with brown bread. Twice a week, try substituting red meat for fish. Fish is among the healthiest foods on the planet. They contain high-quality protein, iodine and various vitamins and minerals. These have many health benefits. Replacing red meat with fish also reduces saturated fat in your diet. Fatty types of fish are the healthiest as they are higher in omega-3 fatty acids. These are nutrients many people don’t get enough of. These fatty acids are crucial for your body and brain to function optimally, and are strongly linked to reduced risk of many diseases (3). Fatty fishes include salmon, trout, sardines, tuna and mackerel. Fish is easy to prepare in various recipes, making it easy to incorporate into your diet. If you don’t feel full when dieting, it’s easy to snack on unhealthier foods. Nuts are nutritious and don’t need refrigeration. This makes them perfect for carrying with you when away from home. You can also try mixing them in with your breakfast, or with your vegetables. Despite being relatively high in healthy fats, they are very filling. Several studies suggest that eating nuts in moderation can help you lose weight (4, 5). Ensure they are unsalted and keep portion sizes to a handful of nuts only, as they are quite calorie-dense. Healthy snacks shouldn’t be complicated. A single piece of fruit can be very satisfying. Keep bowls of fruit visible and in easy reach. You don’t have to make radical changes to start a Mediterranean diet if you aren’t ready for that quite yet. Try completing one positive eating habit that becomes automatic. You can continue to add others and before you know it, you’ll be eating healthily long-term.